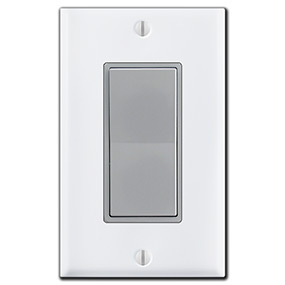 Complete the look in a home or office decorated in classic grey with a selection of gray electrical outlets, light switches, and dimmer controls. 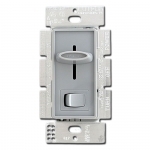 Find the devices you need for your kitchen - GFCI receptacles, Decora rocker switches, slide or rotary dimmers, phone and cable jacks by all major manufacturers. In order to provide the greatest selection of devices so you can complete your shopping all in one place - saving time & money - we carry gray dimmers, switches and outlets from a variety of manufacturers. 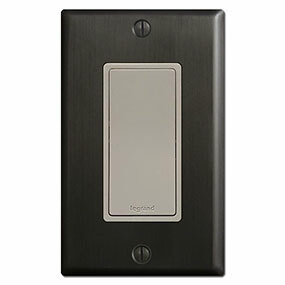 We only stock quality brands and our top sellers - including Lutron, Leviton and Pass & Seymour - each have their own shade of gray. Many are vary similar and differences may only be noticable in certain lighting or to people with a very fine eye for detail. 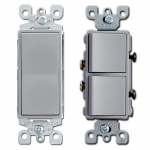 In addition to each manufacturer having slight variations in gray finishes, they also make devices in different sheens - most commonly satin and gloss. 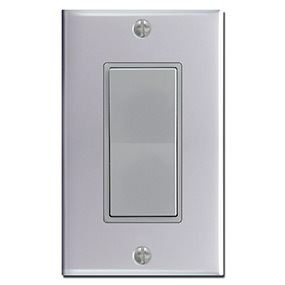 If you're particular about switches that sit side by side being the same color and sheen, just check product descriptions for the manufacturer and for "gloss" or "satin" to ensure your devices will meet your expectations. 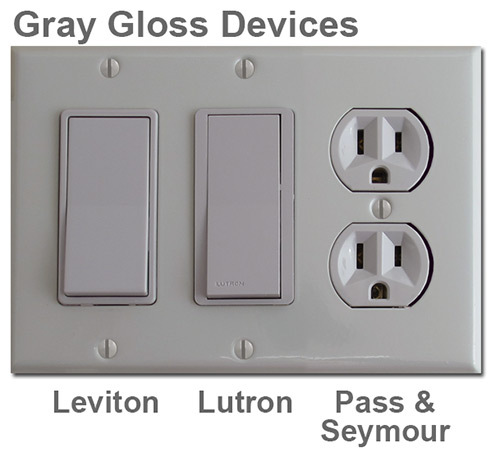 Note that it may be impossible to find exactly what you're looking for - for example, gray duplex outlets are only available in gloss. 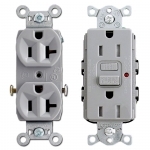 Tip: If you want a satin sheen but have an outlet next to a switch, update your duplex outlet to a decora receptacle in satin. Here is a comparison of both gloss and satin grays from some of the best selling brands. 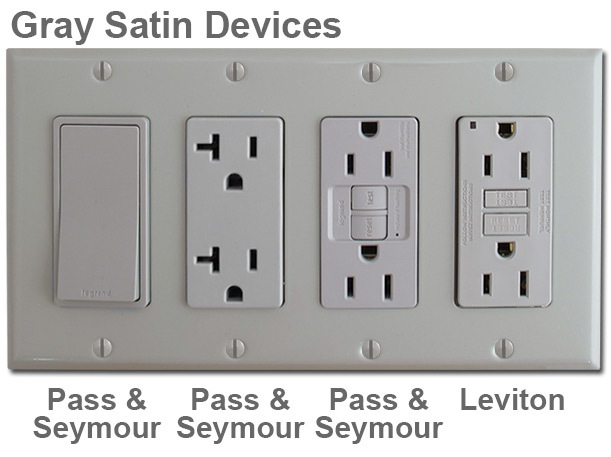 You'll notice that some devices by the same brand- such as the 3 satin Pass & Seymour - also vary in color tone. 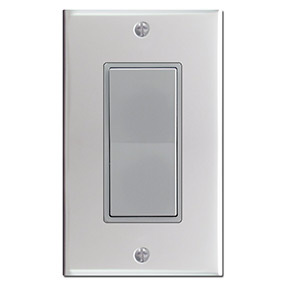 If you're going for gray electrical in your home or office, it's unavoidable that some of the components will be mismatches in color or sheen. But, once installed, most people will hardly notice any differentiation. 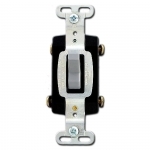 For safety reasons, the electrical components themselves are made of plastic. 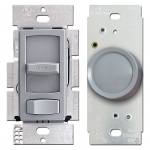 Kyle's quality grey light switch covers are made of metal to prevent cracking & discoloration over time. 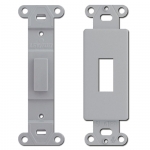 Although metal and plastic can never be an exact match, you'll find that our gray covers are an excellent finishing touch. 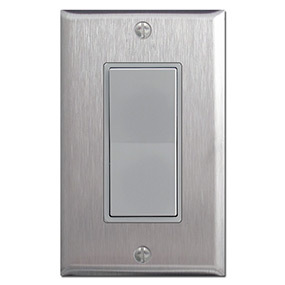 You may want to create contrast by coving gray switches in stainless or black cover plates as well! 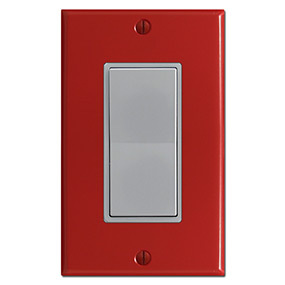 You'll find these switches coordinate beautifully with our aluminum, chrome, stainless steel, black, white, red or grey light switch plates. 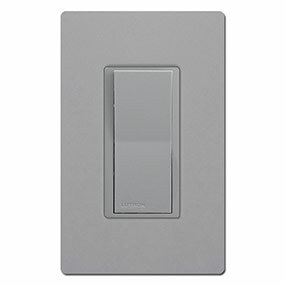 For Lutron devices, get an exact match with Lutron's line of screwless gray switch plates - availble with rocker opening only. 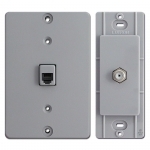 Note that any rocker device will fit Lutron's screwless covers, but only Lutron devices in gray will be a match in finish.